President Barack Obama’s foreign policy revolves around pushing Islam in all parts of the world, to the ruination of the United States and Israel, but also one of depraved debauchery. Obama is a sodomite. One so vile that he is now pushing as foreign policy a militant homosexual agenda, one that will be forced upon other countries. But now this militant homosexual agenda is being thrust down the worlds’ collective throat as a “human rights agenda.” Last week, in an abhorrent display, the homosexual “rainbow flag” flew right below the American flag at the U.S. Embassy in Tel Aviv. How far is this abominable administration willing to go? As far as they have to. They’re crazed, and in the same pathological way that Obama seeks to undermine America in the Middle East, at home, and prop up Islam, he does so through the militant homosexual agenda. He’s the lighter fluid to the flames, causing them to blow up everywhere, all by design. As the nation celebrates National LBGT Pride Month, Senator Edward J. Markey (D-Mass. ), chairman of the Foreign Relations Subcommittee on International Development and Foreign Assistance, today introduced legislation that would affirm LGBT human rights are a foreign policy priority for the United States government. Specifically, The International Human Rights Defense Act (S. 2472) would direct the Department of State to make preventing and responding to discrimination and violence against the LGBT community a foreign policy priority and devise a global strategy to achieve those goals establish a position in the Bureau of Democracy, Human Rights, and Labor responsible for coordinating that effort. Obama’s State Department, the same group that has no problem releasing high level Taliban officials back into Afghanistan, arming Al-Qaeda, and negotiating with Hamas, is now the world’s first homosexual police force. How appropriate that Obama’s evil minions would lead the worldwide effort to police other nations on “LGBT discrimination.” Why would Obama want to close Guantanamo Bay, when it could be used as a prison for those in the world who wish to defy his homosexual police force? Surely America’s Muslim Brotherhood homosexual loving President would force this agenda on Muslims, who so openly display their displeasure toward homsosexuals with hangings and floggings. Doubtful. No, imprisonment would only be reserved for Christians. While the Obama Administration seeks to police the world on all things “gay,” next comes the crackdown at home. And it will be with deadly force. 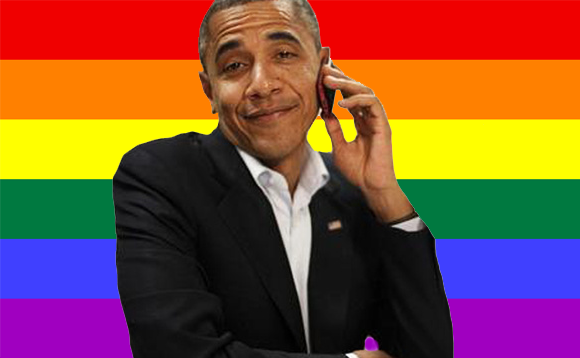 President Obama WILL use an executive order to pass the Employment Non Discrimination Act, which will protect homosexuals from Christian influences. Christians will be punished and prosecuted for NOT hiring homosexuals, regardless of circumstance. This is religious persecution, and it will be executed as per Obama’s pen and phone. All the while, America, a once bright beacon from Christendom, horrifically becomes a beacon for sin and death across the world via the Obama Administration. God help us. ESTABLISHMENT CHURCH GROUPS AIDING ILLEGAL IMMIGRANT INVASION OF U.S.